Natural Glow, famous for its luminous spheres that give skin a natural, healthy-looking radiance, is truly the makeup that generations of women have come to love. This luxurious Powder Puff contains Natural Glow Body Shimmer Powder, to give your skin an instant sun-kissed shimmer. This luxurious Powder Puff contains Natural Glow Body Shimmer Powder, to give your skin an instant sun-kissed shimmer. 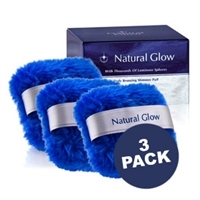 Natural Glow Instant Tan Towelettes are the easy, quick and streak free way to tan, giving your skin a natural tanned glow that last for up to 7 days. 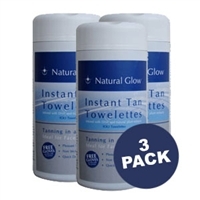 Natural Glow Instant Tan Towelettes are the easy, quick and streak free way to tan, giving your skin a natural tanned glow that last for up to 7 days. This gorgeous creamy lipgloss, delivers long lasting colour and intense shine with thousands of luminous spheres.